A severe weather outbreak is possible today for parts of the Southeast. This includes Tennessee, far north Alabama, northern Mississippi, far eastern areas of Arkansas and extreme northeast Louisiana. 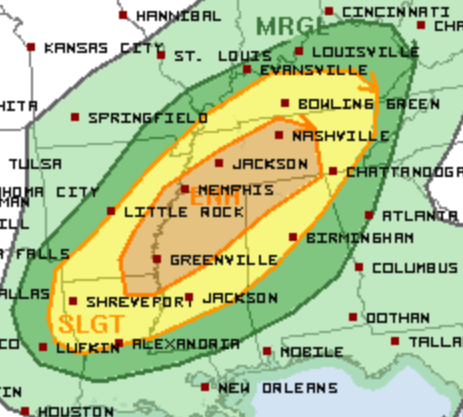 An Enhanced Risk for severe storms includes Nashville and Memphis, TN, Huntsville, AL, and Greenville, MS.
All modes of severe weather will be possible today. The primary threats are damaging wind gusts and tornadoes. The greatest risk for tornadoes extends from western Tennessee into northern Mississippi. 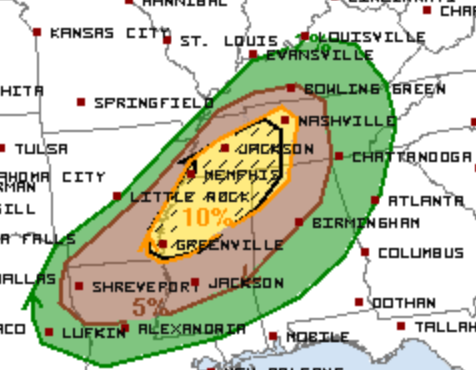 Today has the potential to produce significant severe weather, including a few large and dangerous tornadoes. If you live in or near any of the aforementioned areas, please pay close attention to all forecasts. 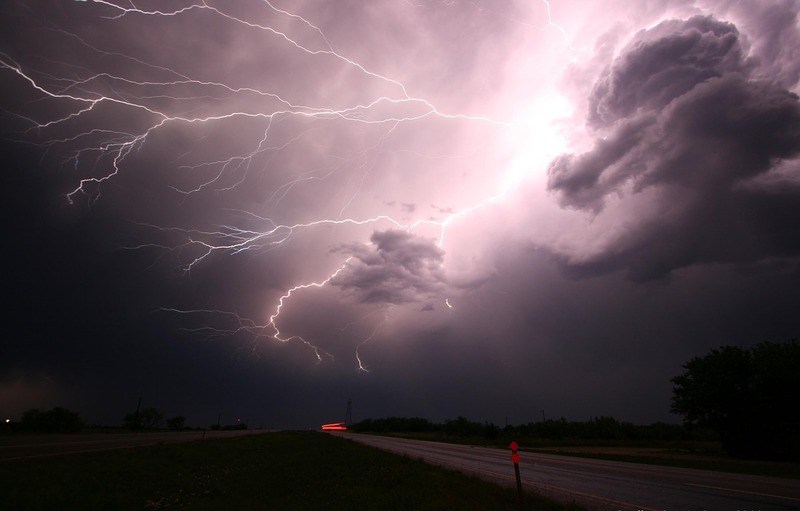 Have multiple ways to get severe weather warnings. Severe weather, including tornadoes, will be possible into the overnight hours. Follow us on Twitter for updates as storms start developing this afternoon.